You can now say goodbye to the never ending piles of dirty clothes, with a new era of twin tub washing machines coming your way. These are fairly new to the market, advancing from the traditional twin tub structure with larger capacity drums. But are they worth the extra money? Follow our guide to find out all you need to learn about these duo drum machines and if they are is the best choice for you. Why buy a twin tub washing machine? Enormous piles of washing at the end of the week can take its toll on your day off when you’re waiting at home just to get the second load on. A twin tub washing machine is a convenient way to save you time as well as space, with most twin tubs stacking one on top of the other. By combining two tubs into one appliance it can also be a more affordable option than buying a second washing machine for your household. It may not be very practical to have two separate washers in one laundry room, so buying a two-in-one washer could also be a handy way to separate whites from colours or simply run a small wash of delicate or wool items without waiting for a full load to pile up. How does a twin tub washing machine work? As the name implies, these appliances are designed with two tubs, usually with two different capacity limits – one slightly less than the other. Depending on the model, the larger capacity front load washer is designed for normal loads, in particular heavily soiled items allowing for both hot and cold washes. The smaller washer – located either at the top or bottom of the machine – is used for lightly soiled items as well as specialty loads and is usually a cold only wash cycle. There is also an older generation of twin tub washing machines that work in a slightly different manner. These are normally divided into two parts – with side being the wash tub and the other side designed to spin your clothes, removing moisture in order to use less time on the drying line. You need to fill the appliance with water manually, which may be a downfall but it does mean you choose how much water goes in, being ideal for water-restricted suburbs. The water also doesn’t drain automatically, allowing you to recycle the water – for your garden. Can you use both tubs at the same time? The duo tub washing machines are boasted to wash simultaneously. Weather you have a pile of whites or baby clothes that require being washed separately, these washing machines can work at the same time with separate wash cycles and washing detergents. How energy efficient are twin tub washing machines? While larger capacity units tend to increases energy consumption, the latest dual tub washing machines typically boast four stars and up for the energy star ratings. With the design of a smaller capacity drum, you can wash a small load without the energy consumption of a large capacity drum, which is a plus. High spin speeds on certain models also help to save on energy costs by decreasing the time the washer is in use. Who sells twin tub washing machines? 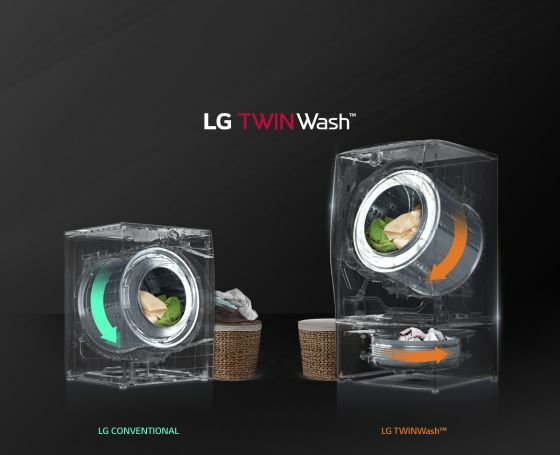 LG produces two models of twin load washing machines – the Signature TWINWash 10kg/6kg Washer Dryer Combo (Pictured) and the LG TWINWash 18.5kg Total Washing Load. These tend to look more like fridges rather than washing machines, with the bottom compartment being designed to slide out in a similar way to a freezer. The LG Signature model has 4.5 stars for both energy and WELS star ratings. It also has a maximum spin speed of 1,600 RPM, giving a powerful appliance for a household of 5+. The LG TWINWash Dual Washer Dryer Combo (TWIN171216T) has a 16kg capacity main drum (hot/cold) with a 1,000 RPM spin speed and a 2.5kg mini washer (cold only) at the bottom. When switching to the dryer selection, it allows a 9kg load. Several key features of this model include a pause and add option, in case you need to throw something else in. 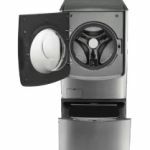 It’s also boasted for the LG Turbo Clean system, shortening the wash cycle by using short burst of water spray from nozzles located at the front of the drum. This new era of washing machines also allows you to control the machine from the palm of your hands – via a smartphone. The LG Smart THINQ app allows you to remotely start and even monitor the washing machine progress as well as track the energy consumption and troubleshoot any problems. There is a 2 year part and labour warranty and 8 years on inverter direct drive motor (parts only). The retail price tag is $3,999, so you may need to start saving up now if you want to invest in one of these. Samsung has also released a dual tub model – the Flex Wash 16kg/2.5kg washer. The large 16kg capacity drum allows you to do the larger sheets or towels in one load instead of separating into several. There is an ‘Add Door’ feature, which allows you to add any missed items like a lost sock on the way. There are a number of programs featured with this washing machine including – Bubble Wash & Bubble Soak. The Bubble Wash is stated to pre-mix washing detergent, water and air together at the beginning of a cycle to help create foam bubbles while the Bubble Soak is a pre-wash cycle to help soak the heavily soiled items before the wash begins. Similarly to LG, you have the capacity to control the washer via an app. 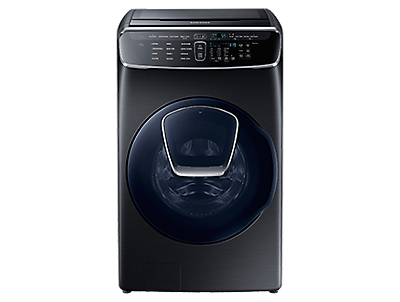 The Samsung Smart Washer app has the ability to start the wash, track progress, switch cycles and monitor the automatic Smart Check error system via the Wi-Fi for any troubleshooting. There is an 11 year motor parts warranty on this machine. You can expect to pay close to $3,000 for this machine. Hair has a couple of models with dual ability including the Hair 4kg/8kg Twin Tasker and the Hair XPB60-287S 6kg Top Load Twin Tub. The Twin Tasker combines two drums one on top of the other, giving you a total of 12kg load capacity ideal for a household of 4+. Both tubs allow for variable temperatures and have a maximum spin speed of 1,500 RPM. It costs around $2,500 and has a 5 year parts and labour warranty. The Hair XPB60-287S model (pictured) is a more traditional twin tub washer without the extra high tech features. It’s designed to wash and spin clothing separately with a 6kg load capacity. You can use both sides at once. While you’ll still need to hang out the clothes out after, the spin tub aims to remove most of the moisture with a 5 minute cycle. It has a retail price tag of $449 and a 2 year warranty. Similarly to the Hair model above, Lemair LTT8 8kg Top Load Twin Tub Washing machine is a manual style washing machine. It has a spin speed of 1,300 RPM and 3 inbuilt programs. It’s boasted for easy maintenance and a simple operation. The RRP for this twin tub washer is $499 and it comes with a 2 year warranty for peace of mind. 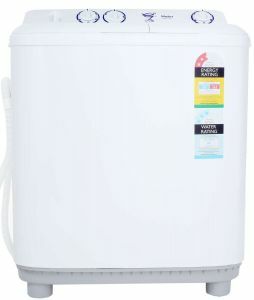 Should I buy a dual tub washing machine? A dual tub can certainly be a convenient way to save you time when doing the washing. 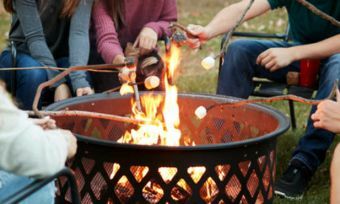 It may be worth the investment, in particular for larger households, as it allows you to do two loads at once. With certain models having an additional dryer feature, it further helps to combine two appliances into one, saving you space. The separate smaller tub may provide extra convenience for the small washing loads such as for baby clothes or gym gear. It would be wise, however, to consider exactly what your washing needs are before purchasing one of these bad boys. If you’re a couple or living on your own, it may not be the best buy with the appliance requiring a larger space compared to your standard washing machine. But if you’re a couple who prefer to wash clothes separately – like the Haier ad – then perhaps its built for you. The high tech washers come with a high price tag, so you may like to weigh up the pros and cons. There are certain models that only give one tub to wash and the other to dry but nevertheless, save space. 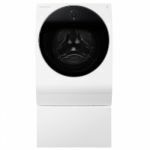 As there is a lot of choice in the market, you may like to shop around and find what will suit your washing needs most – whether that is a dual drum washer or something else.